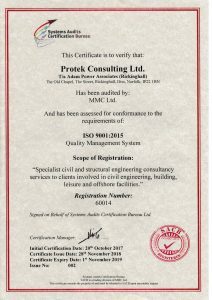 Adam Power Associates (Rickinghall) provides specialist civil and structural engineering consultancy services to clients involved in civil engineering, building, leisure and offshore facilities. The Directors and staff recognise the need to provide a service that meets the Client’s requirements in terms of fitness for purpose, budget and programme. 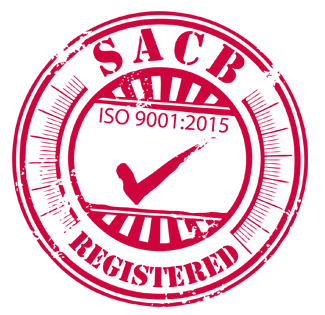 The company recognises the need not only to achieve a high quality standard of service but also to demonstrate a constant improvement in performance in line with BS EN ISO 9001:2015. The company operates a business management system which seeks to continuously improve our practices. The system has been developed to control all aspects of the organisation of the company relevant to the execution of work on projects and other areas of the company’s operations that affect the quality of the service provided. The system allows for the establishment and review of quality objectives. It is the policy of the company that all Directors and staff operate at all times within the policies, procedures and guidelines laid down in the company’s business management system documents. The Quality Manual outlines the responsibilities of the Directors and staff, the organisation and the procedures which form the company’s business management system. The quality procedures apply to all of the company’s business activities. The company is committed to employing motivated staff and all employees are encouraged to progress their careers and obtain further academic and professional qualifications via day release external courses and in-house training. Records of continuing professional development are maintained. The Directors are jointly responsible for formulating, implementing and revising the policy on an annual basis.